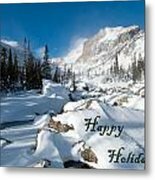 There are no comments for Happy Holidays Snowy Mountain Scene. Click here to post the first comment. 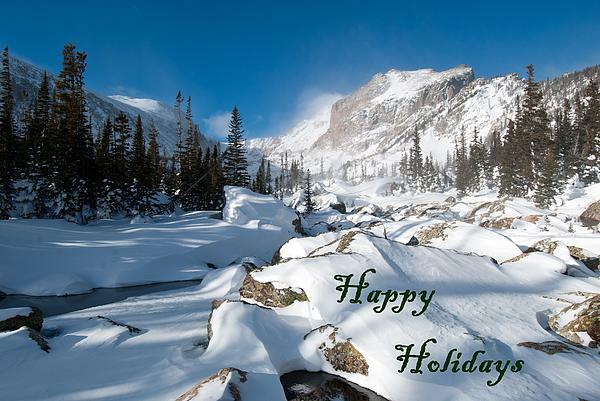 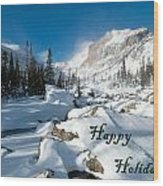 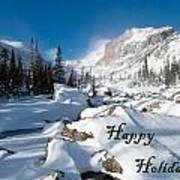 Happy Holidays / Christmas greeting card by Cascade Colors/ Lynn Cyrus -- this photograph depicts a winter scene in Rocky Mountain National Park, near Lake Haiyaha, with mountain peaks in the distance, pine forest, a partially frozen stream, and fresh banks of white snow.